From BBC Introducing artist to performing at the Dalai Lama’s public talk at the O2 Arena in just 6 months – This is the story of Ngawang Lodup’s remarkable rise. From Buddhist Monk to Rock Star is the incredible story of triumph over adversity for the singing ex-monk, who 10 years ago fled his life in a Tibetan monastery, trekking for 18 days, 250 miles, to pursue a life where he could freely express himself. 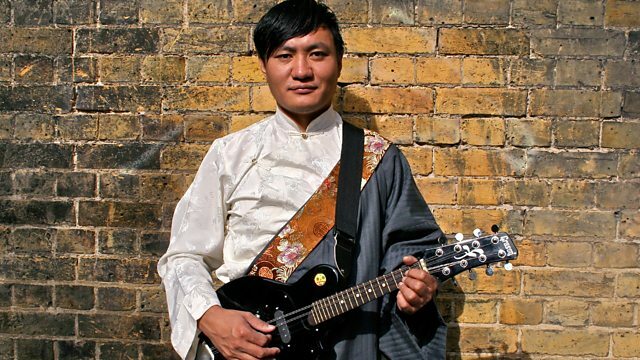 After settling in the UK, Ngawang performed as a highly sought after singer amongst the Tibetan Diaspora in Europe but was picked up by BBC Radio 3 in April 2015 in the inaugural year of a BBC Introducing World Music scheme. In this intimate documentary portrait Ngawang speaks openly about his life and career, the pain of exile from his country and family and the central role that music plays in his life. This film tells Ngawang’s incredible story through a mix of interviews, archive footage and behind the scenes access along with live performances from Radio 3, Womad festival and the O2. Explore sessions old and new from a host of the finest Introducing bands and artists. Watch a special animation charting the rise of Sound Of 2016 winner Jack Garratt. Laurie and Isaac from Kent band Slaves take you through their BBC Introducing story.